Renal cell carcinoma (RCC) is the most common type of kidney cancer in adults, responsible for approximately 90% of cases. The American Cancer Society’s most recent estimates for kidney cancer in the United States for 2016 are that 62,700 new cases of kidney cancer (39,650 in men and 23,050 in women) will occur and that 14,240 people (9,240 men and 5,000 women) will die from this disease. Kidney cancer is among the ten most common cancers in both men and women. Overall, the lifetime risk for developing kidney cancer is 1.6% and this risk is higher in men than in women. Interestingly, kidney cancer is very uncommon in people aged below 45 with the average diagnostic age being 64. It is also noteworthy that the rate of new kidney cancers has been rising since the 1990s with little improvement on developing successful treatments. Chromophobe renal cell carcinoma (chRCC) is the third most common subtype of kidney cancer and accounts for 5% of all RCC cases. The five year disease free survival rate of chRCC is reported to be increased compared with that of other RCC subtypes, including clear cell, sarcomatoid and papillary renal cell carcinoma. Although the outcomes of chRCC are typically more favorable compared with those of other subtypes, the disease still demonstrates a 6 7% probability of tumor progression and metastasis. 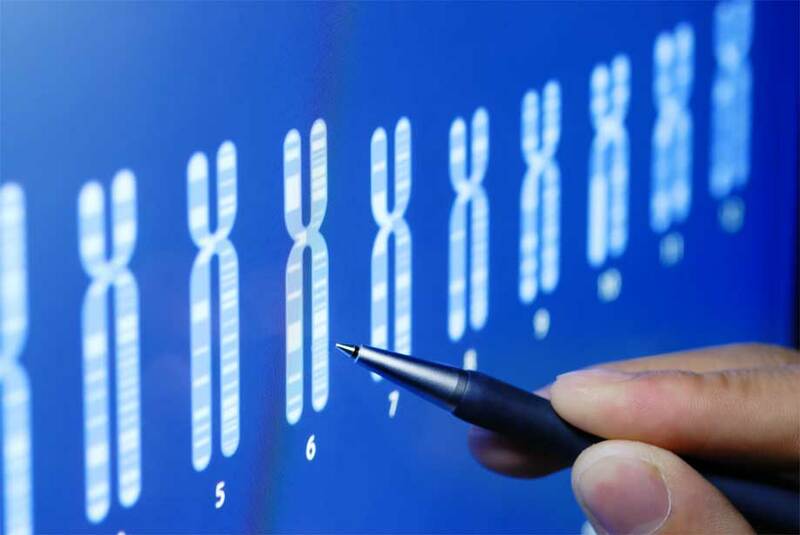 Cytogenetic analysis revealed an association between chRCC and the loss of chromosomes 1, 2, 6, 10, 13, 17 and 21; therefore, such losses may be prominent abnormalities useful for the diagnosis of the disease. In addition, differential gene expression has been used to assist in the diagnosis of chRCC and pathway analyses emphasized the involvement of Erb‑B2 receptor tyrosine kinase 2 [human epidermal growth factor receptor (HER) 2] signaling in chRCC. The ErbB/HER family of proteins contains four receptor tyrosine kinases, structurally related to the epidermal growth factor receptor (EGFR/HER1), its first discovered member. In humans, the family includes HER1 (EGFR, ErbB1), HER2 (Neu, ErbB2), HER3 (ErbB3), and HER4 (ErbB4). Insufficient ErbB/HER signaling in humans is associated with the development of neurodegenerative diseases, such as multiple sclerosis and Alzheimer's disease. Whereas, excessive ErbB/HER signaling is associated with the development of a wide variety of solid tumors. Lung and colorectal cancers and glioblastoma may develop because of aberrant Her1 signaling while breast cancer is often associated with excessive Her2 activation. All four members of the ErbB/HER protein family are capable of forming homodimers, heterodimers, and possibly higher-order oligomers upon binding to the 11 different growth factors that are known to activate ErbB/HER receptors. Wen Hui Weng and colleagues from National Taipei University of Technology and Chang Gung Memorial Hospital and University analyzed 11 chRCC specimens from patients diagnosed between 2005 and 2009 by fluorescence in situ hybridization (FISH) for HER family gene abnormalities. The required probes for all target genes were prepared by nick translation labeling of several bacterial artificial chromosomes (BACs) using Enzo’s Green and Red dUTPs. FISH-stained samples were analyzed by fluorescence microscopy. These investigations showed that the loss of one copy of the HER2 and HER4 genes was the major alteration of the tumor cells in all chRCC cases. Statistical data also indicated that loss of the HER2 gene was strongly correlated with loss of the HER4 gene and amplification of HER1 was also strongly correlated with the amplification of HER4. Furthermore, a high percentage of genetic structural rearrangements was observed in HER3 genes, which was significantly associated with amplification of HER2. These findings indicate that further characterization of the underlying aberrant functions of HER genes may be of considerable interest for additional studies in the context of using HER genes to distinguish between RCC subtypes and to establish improved treatment guidelines. From our superior labeling technology for microarrays to labeling systems, probes and detection assays for (fluorescent) in situ hybridization, Enzo Life Sciences provides a complete set of genetic tools, some of which are described below. Enzo Life Sciences will also be attending ESHG 2016 in Barcelona, May 21-24. Come find us at our booth to celebrate our 40th year anniversary and learn more about our Genomics product range. W. H. Weng, et al. Genetic alterations of HER genes in chromophobe renal cell carcinoma. Oncol Lett. (2016) 11: 2111. Improved data quality and analysis results through greater biotin incorporation.